Looking for a beautiful custom personalized gift for your beloved grandma, grandpa, parents, sister, brother, niece or nephew that live across the miles from you? This beautiful bookmark will warm their hearts! He or she will truly enjoy keeping his or her spot in a great book with this beautifully engraved special bookmark. 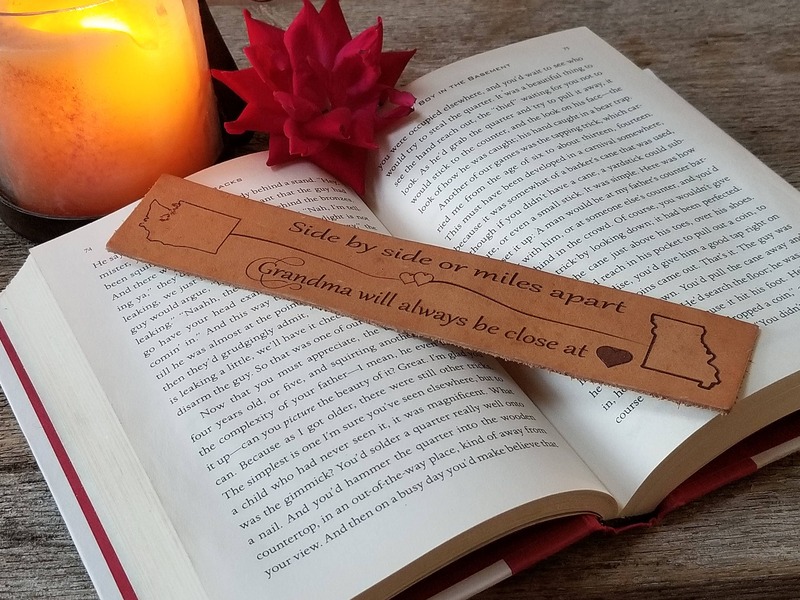 Let us custom engrave this beautiful bookmark for you, and it will become a special keepsake for your grandma, grandpa, spouse or someone special in your life. Give us the name of the States or Countries you would like us to engrave and we will engrave them for you. Want a different quote engraved? Just let us know the quote and we will engrave it for you.